Do you think your dog can tell time or sense how long something has been going on? 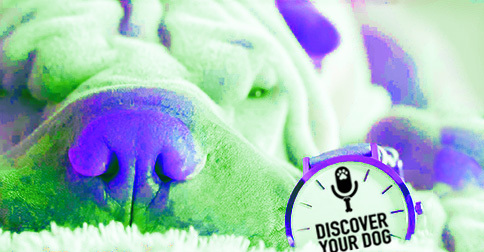 Today, discover why time is just an illusion to your dog. 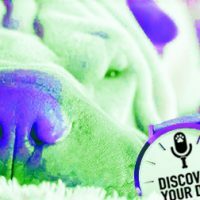 In this episode, you will learn a simple way to test your dog’s ability to tell time. How do dogs know when you need to feed them breakfast or dinner, when they need to go outside or when they need to wake you up? They are triggered by events, not by time. For example – Every time Bennie comes home, Oz is going to go out to go potty, be fed and let out to to go potty – it is the trigger of the event itself that causes the reaction. Owners project their own analytical concerns – their dogs being left alone, cooped up in the house/kennel for too long when in reality, dogs cannot think analytically. Time passes differently for everyone. Humans are the only creatures that have an experience of time. Humans created the definition of time: minutes, seconds, hours, days, – we are time-based! Devin also brought up the point that time is just in the moment. Humans relate and think about time and dogs do not in the same way. Separation anxiety – it seems like the longer you are gone, the more agitated and destructive your dog has gotten. Bennie isn’t sure if this is true – he believes your dog just had more time to do more damage. They have the same amount of anxiety in 8 seconds as they do in 8 hours. As humans, we tie things to events and use our five sense to connect to memories. Devin references his thoughts as expectations of the future and memories from the past. Humans have triggers similar to dogs however, ours bring memories because we are able to analyze, unlike dogs. Bennie teaches his clients that dogs react to things around them- they understand that it’s daylight and its dark, for example. Dogs have aligned themselves with us to an extent with time but it is done in a non-analytical way and more of a cause/effect system. For example – Bennie is watching a dog whose owner leaves for work and the dog is whining. Bennie ignores the dog and over time she calms down because she does not get attention for that behavior as she did before. Dogs may get attention for the bad behavior and that is what they will continue to do because we as owners have now reinforced the bad behavior. Does your dog really know how long she is doing something? Test your dog’s ability to tell time. Make sure your dog knows basic commands (sit, stay, down). You are going to time how long she stays in-command. Start out with 30 seconds and then increase by 30 seconds intervals. Put your dog in a command – sit, down, place (Down Preferably) without a leash on her. Wait 30 seconds, then release her. Continue this until your dog makes it to the minute-and-a-half mark. If she breaks the command—give no correction, no attention—just note how long she held the command. Do not give any praise the longer she stays in the command. Review Ep 031 – Formal Commands VS Casual Commands. What your dog is learning during this process is that she is in a command and waiting to be released or waiting for another command. There is no sense of time – she is just waiting to be released. You are practicing a casual command here and learning that your dog has no sense of time. Awareness – Devin believes we will learn that our dogs are just waiting on us and that we are the ones with the concept of time.